Turtle Note Cards Make a Difference! I was deeply saddened by BP’s Oil Drilling Disaster, as I am sure most of you are also. I asked myself, how can I help? I wanted to create a note card that you can use while proceeds would help a much needed cause at this time in our lives. After reading that many species of turtles are and will be effected by this disaster, I knew my original turtle artwork printed on 100% recycled natural white coverstock would be the perfect choice for these note cards. 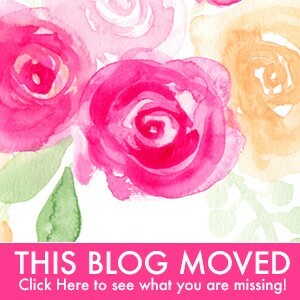 I have chosen the “Gulf Restoration Network” to receive 50% of each note card sale. 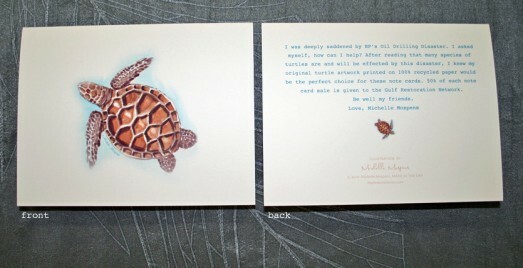 Please if you care and want to help, order my TURTLE NOTE CARDS today. I can not wait to see how much we can raise. Thank you for your consideration. 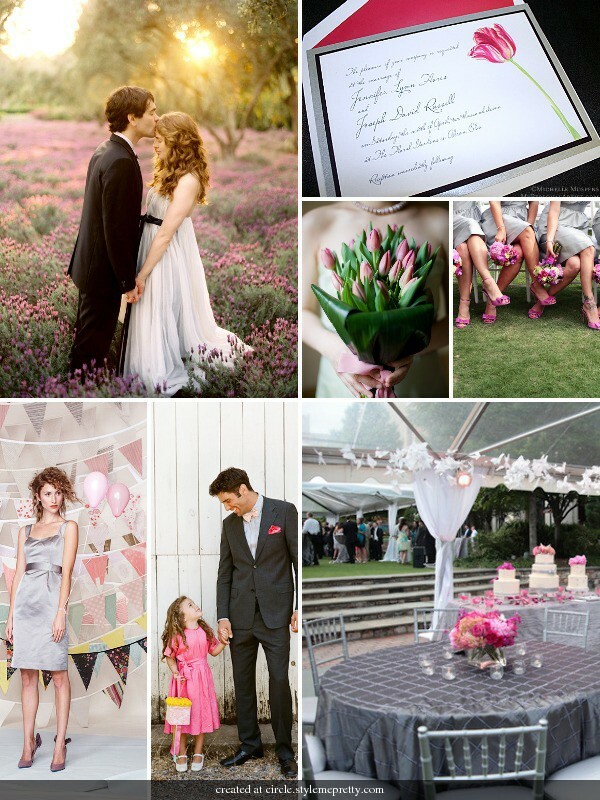 Gray and Pink Wedding Inspiration! Fresh and fun. Gray seems to be the it color! Mocha will be back in 2011! Add a splash of another color like pink to gray and wahlahh! You have fun colorful elegance! Navy, Royal Blue, Blue Violet, and a Dash of Yellow! Credits: Brett Buchanan (2), Harper Ferguson (2), Sweet Pea Events, Rochelle Mort (2), Blooms by Martha Andrews (2), My Personal Artist Handmade Letterpress Invitations, Lisa Franchot, Oh How Charming!, Andrea Polito Photography, Inc. 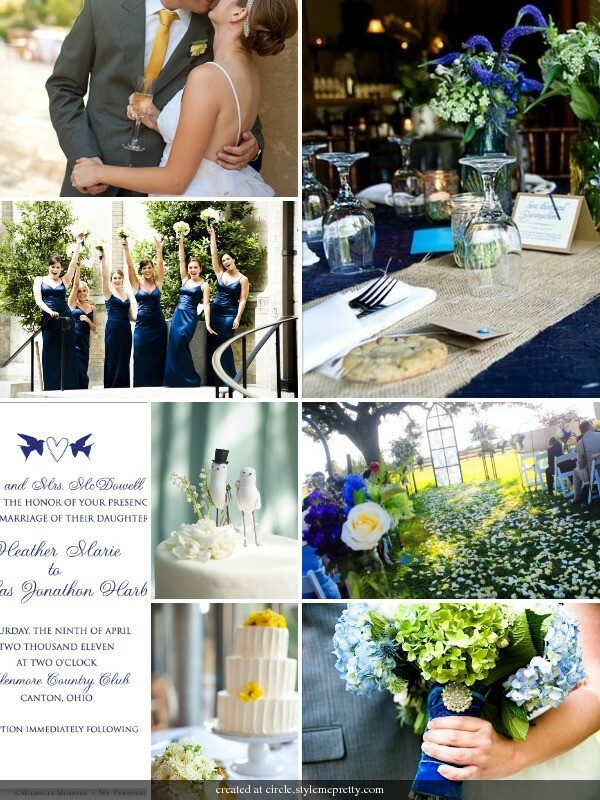 I have to say, I didn’t think a Navy, Blue and Yellow wedding could look this elegant! While creating this inspiration board… I mixed and matched and found what I think is the perfect combo of colors for you. Remember, when planning your wedding color scheme, you do not have to overboard. Navy doesn’t have to be just navy. You can feature navy, royal and a blue violet! A splash of “navy” here and there with a tiny dash of yellow is just right! Perfect for a spring, summer, fall or winter wedding! 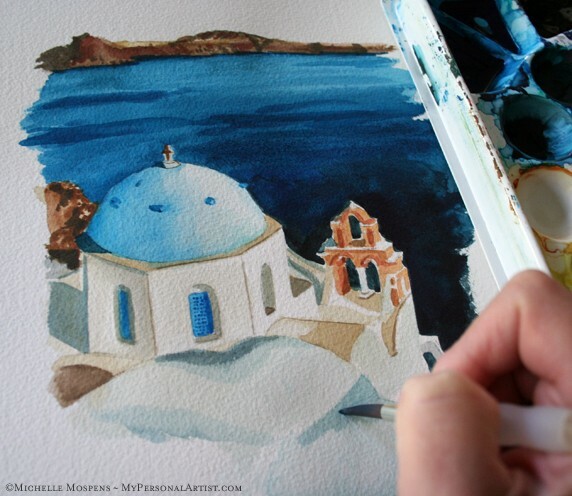 I just hand painted this Greek Church watercolor for Lou’s custom wedding invitations. I will post the actual invitation design once completed. 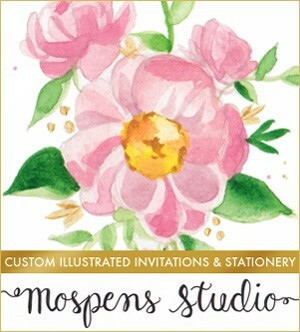 Get your custom invitation started today! 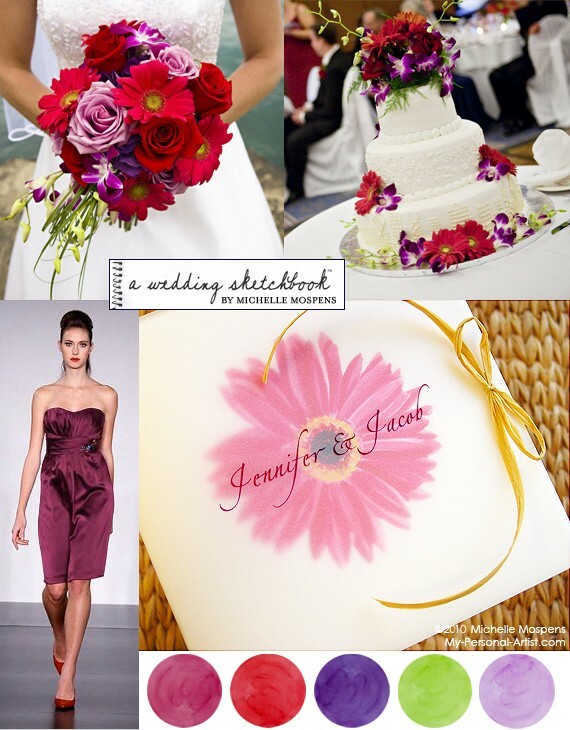 For summer weddings there are many bright and lovely colors to choose from! Why limit yourself? Here I show you have to pull off FIVE wedding colors. It’s all about balance. Watercolor gerbera daisy flower handmade invitations by My Personal Artist Custom Invitations. Flower bouquet Grapevine Palos Hills Flowers and Cake Dinkels Bakery by Thompson Wedding Photography found on TheKnot.com. Bridesmaid dress from Priscilla of Boston STYLE PB316 in the color Cabernet.